The truth is that most of us wander as we travel through our careers. It’s normal and it’s healthy just as long it is mindful and not aimless wandering. (Please pay particular attention to that last sentence, Dillon children.) That’s why whenever I meet with students I encourage them to take advantage of internships. And, I’m fortunate because I work for a company that mirrors my enthusiasm by funding and supporting hundreds of internships globally each year. But the benefits go both ways. Some are obvious. For example, internships are a great way for us to identify talent for our organization. Even if the internship is for just a few months, we can assess whether someone will be a good fit for a future opportunity. Spending time with our interns (and we have some great ones this summer), also helps us understand how our organization needs to evolve to support our next generation of employees. How do they communicate? What tools do they use most frequently? Do they like to work collaboratively or autonomously? In an open space environment or an office? Do they value flexibility over regular working hours? The answers to these questions help us ensure that we are designing a scalable organization for the future. And, sometimes, interns teach you other interesting things as well. 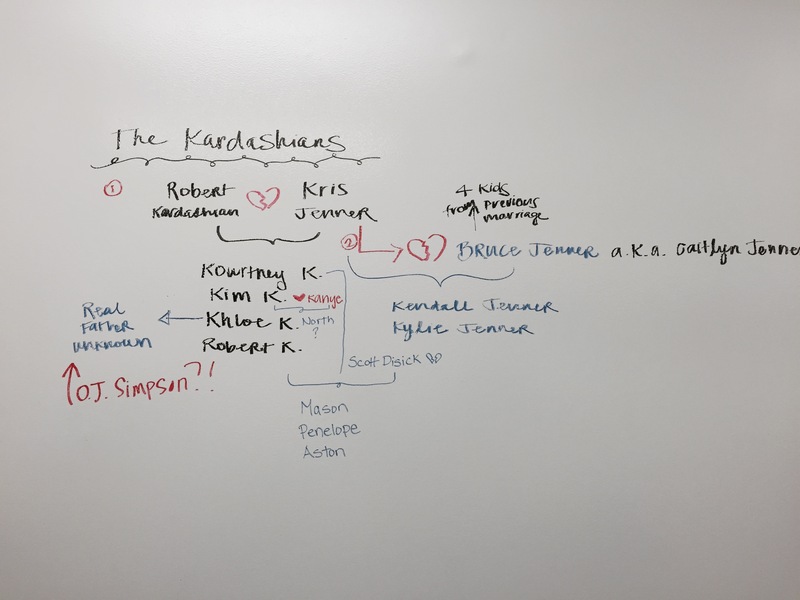 For example, the above was diagrammed by one of our current interns on a white board in our office. I’m only hoping she will next diagram Game of Thrones. I still can’t understand that show.